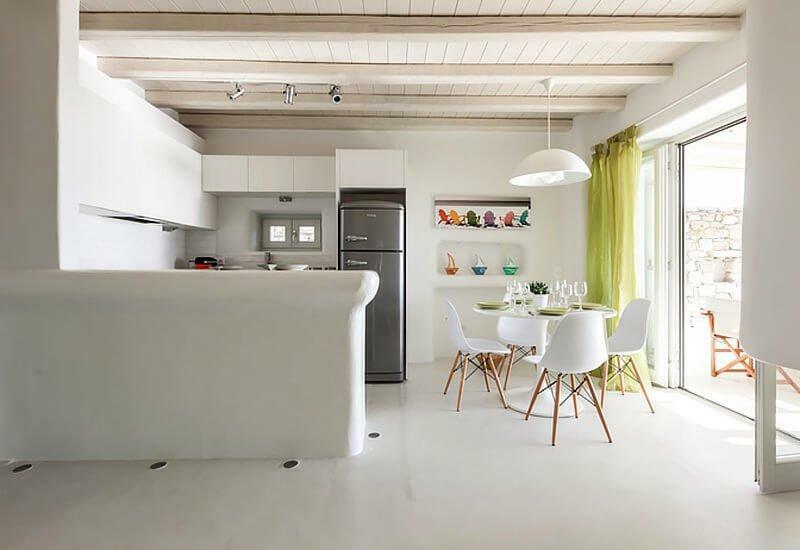 Part of a freshly built complex of private properties in Kalafatis, White Villa is a charming summer home within the vicinity of three of the main southeastern beaches of Mykonos. 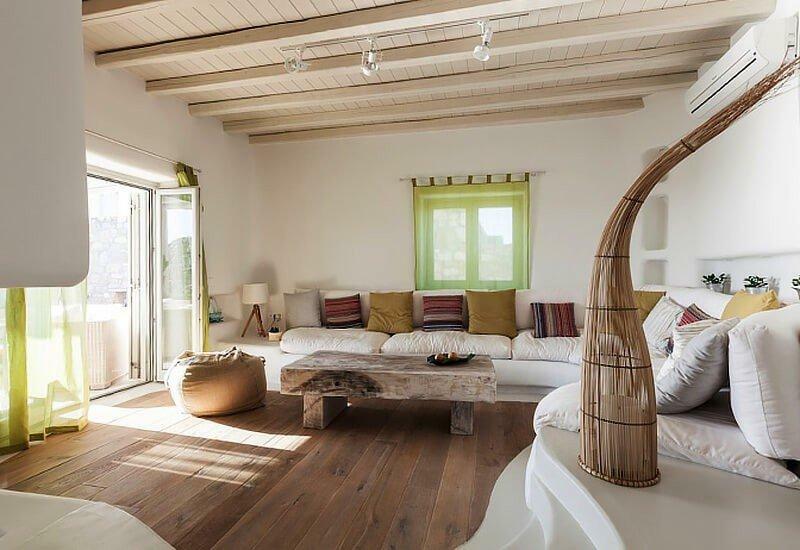 The villa has privacy and shows beautiful views over Kalafatis Bay, thanks to its clever layout, which is especially noticeable in the outdoor terrace of the cozy living area where the private infinity pool is embraced by a wooden deck with comfortable sun beds. 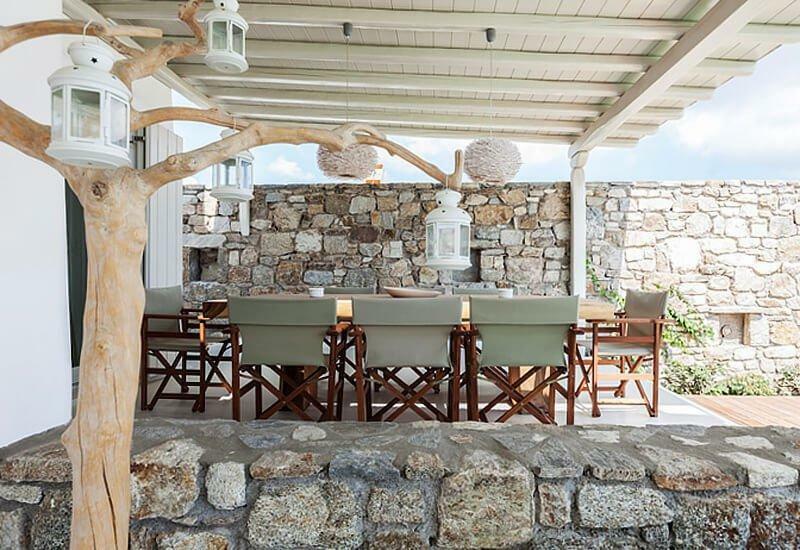 The interior design is Mykonos at its best: lots of use of white thoughtfully counterbalanced by colorful decor as well as use of local stones. 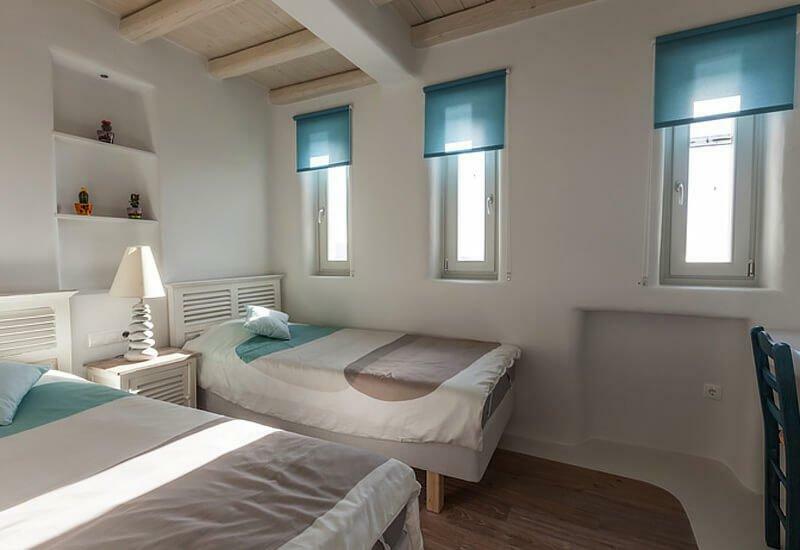 The exercise of space is particularly well spread as this 130 square meter property features 3 bedrooms and all the necessary living areas without compromising on comfort, quality or amenities for a second. 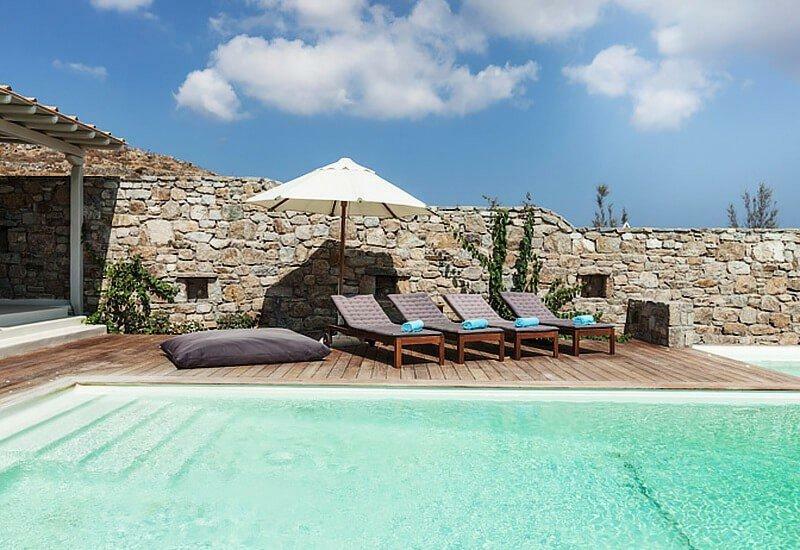 White Villa is a prime choice for smaller groups looking to enjoy a less known yet remarkably beautiful area of Mykonos within a fresh atmosphere and design.